Self-proclaimed science “evangelist” Ainissa Ramirez preaches a gospel focused on the importance of improving the public’s understanding of science. Ramirez shares her message in the Lawrence University convocation “Technology’s Unexpected Consequences” Tuesday, April 3 at 11:10 a.m. in the Lawrence Memorial Chapel. She will conduct a question-and-answer-session following her remarks. Both events are free and open to the public. Through books, TED Talks, online videos and the podcast “Science Underground,” Ramirez makes her case for science education reform, arguing for greater emphasis on problem solving and critical thinking rather than memorization. 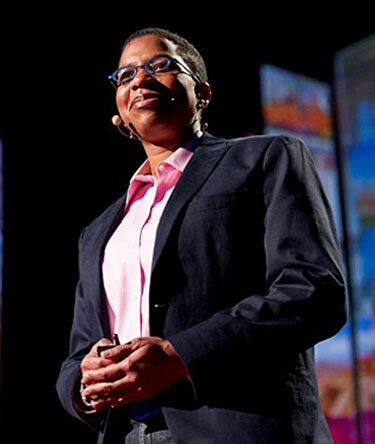 Ramirez, who earned a bachelor’s degree at Brown University and a Ph.D. at Stanford University, spent eight years on the faculty at Yale University, where she taught mechanical engineering and materials science and created a science lecture series for kids called “Science Saturdays.” She also spent time as a visiting professor at MIT. Named one of the world’s 100 Top Young Innovators by Technology Review for her contributions to transforming technology, Ramirez holds six patents and is the author of co-author of three books, including “Save Our Science: How to Inspire a New Generation of Scientists.” Her most recent book, 2013’s “Newton’s Football: The Science Behind America’s Game,” uses football as a model to examine science topics ranging from chaos theory to concussions, in an entertaining, big-think way.